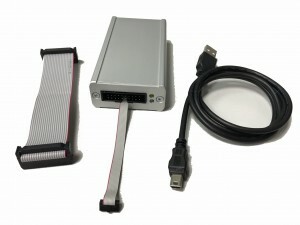 and for all other development environments that support the J-Link or CMSIS DAP protocol. 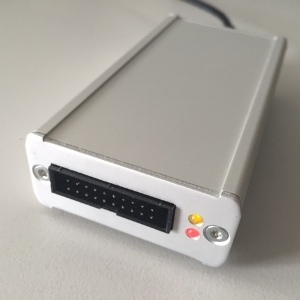 In a robust aluminum housing is an adapter solution based on an original LINK2 module of Embedded Artist. Classic ARM20 plug and the small 10-pin cable are provided. The Link2 status and status of the target reset line are displayed via LEDs. Power is supplied through the USB port on the PC. All adapters are tested prior to delivery with a real target system.